Immerse yourself in an exhilarating mix of natural beauty, outdoor adventure, and intriguing culture at Red Lion Hotel Lewiston. Ideally situated near a variety of area attractions, staying at our hotel in Lewiston allows you to kayak through Hells Canyon, go fishing on the Clearwater River, or play a round of golf at any of the valley's four golf courses. Whether you're traveling for business or pleasure you'll be greeted with a warm welcome, personalized service, and the most comfortable and convenient accommodations among hotels in Lewiston, Idaho. Our newly renovated rooms and suites feature oversized bathrooms, complimentary Wi-Fi, complimentary newspaper, and plush pillow-top beds. Business guests enjoy over 13,000 square feet of meeting and banquet space that can accommodate up to 900 guests for business and social occasions. Enjoy a relaxing night dining at our onsite restaurant, Meriwether's Bistro, having a drink at our bar with its own patio, or take a dip in our resort-style tub before retreating to your room. When you pay In Advance and stay with us in beautiful Lewiston, Idaho you will receive 15% off your room rate and Free Breakfast for two in our onsite Merriweather's Restaurant. You better hurry offer ends March 31st and availability is limited. Wake up to picturesque views and treat yourself to a delicious breakfast in Meriwether's Bistro before taking a dip in our relaxing outdoor pool or squeeze in a workout in our adjacent Snap Fitness athletic club. Offering the most desirable amenities among hotels in Lewiston, ID, Red Lion Hotel Lewiston is a chosen destination among families, couples and business travelers alike. With more than 13,000 square feet of expansive meeting spaces for business and social occasions, our hotel is a desirable location for weddings, meetings, sports events, and special occasions. We offer full-service catering and state-of-the-art amenities. It's easier than ever to get to Red Lion Hotel Lewiston from Lewiston-Nez Perce County Regional Airport, offering complimentary shuttle service to and from the airport. Complimentary shuttle runs from 4am to Midnight (or up until the last flight of the day arrives). Get in shape at our state-of-the-art fitness facility. Our hotel provides a well-equipped fitness center so you can relieve stress by squeezing in daily cardio, stay invigorated with an early morning run, or build muscle with weights. As a premier choice among Lewiston hotels, Red Lion Hotel Lewiston offers a venue for our guests to relieve stress and stay in shape. 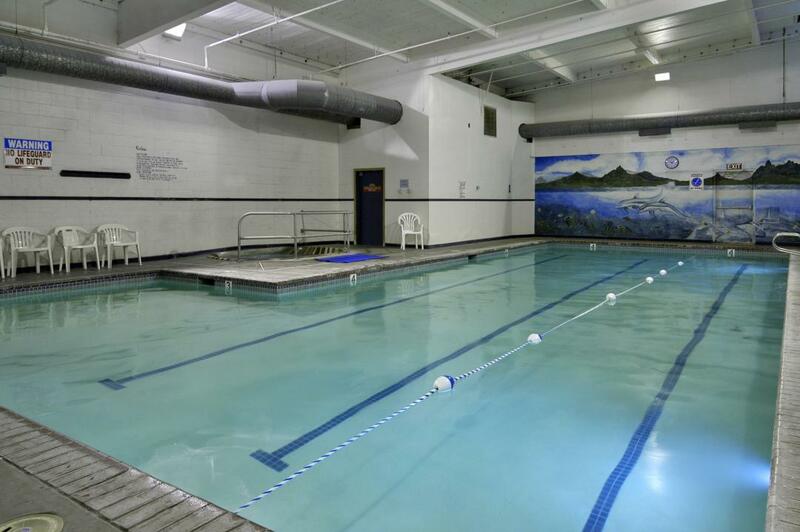 Follow up your workout routine with a relaxing swim in our indoor lap pool, or by taking a dip in our whirlpool. Along with our own fitness center, we offer a shuttle to and from the ADCOPE Athletic club. Outdoor pool seasonal hours are from October to May. Indulge in seafood delights, carefully crafted menus, live music, and more at each of our onsite Lewiston restaurants. From casual Lewiston dining to more formal evenings, eating in Idaho is a true experience. 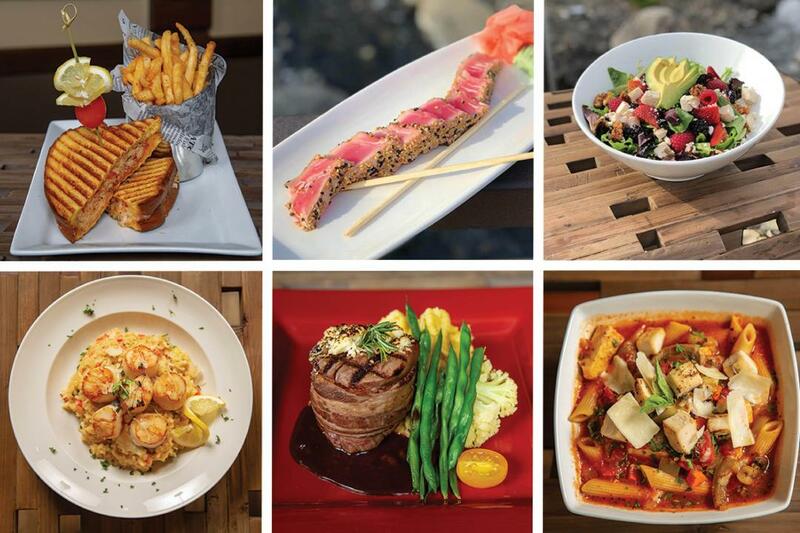 Featuring a variety of carefully-crafted menu options, each of our onsite restaurants offers something for everyone. Featuring fresh local flavors for breakfast, lunch, weekend brunch and dinner. Guests can enjoy indoor dining in our newly renovated restaurant, grab bites and sample some northwest wines in Meriwether's lounge or enjoy the views from our expanded patio. 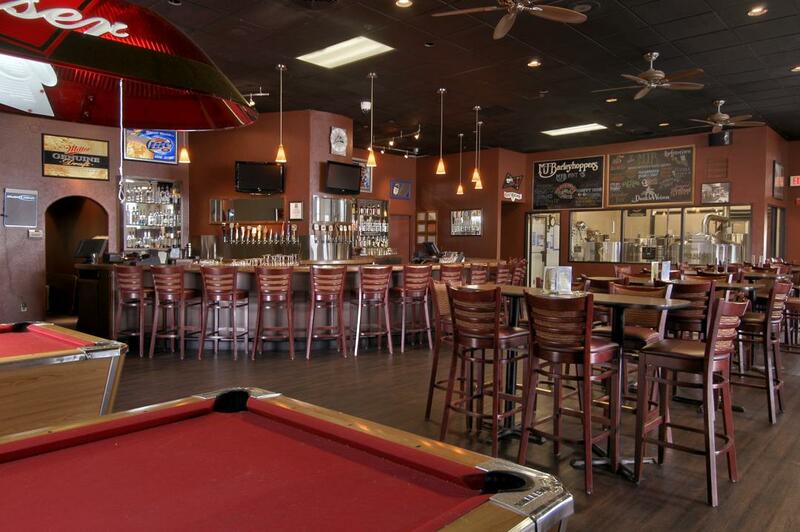 Catch a game and a delightful meal at MJ Barleyhoppers, where you can watch all sports, including NFL Sunday ticket on one of our eleven HD TV screens. 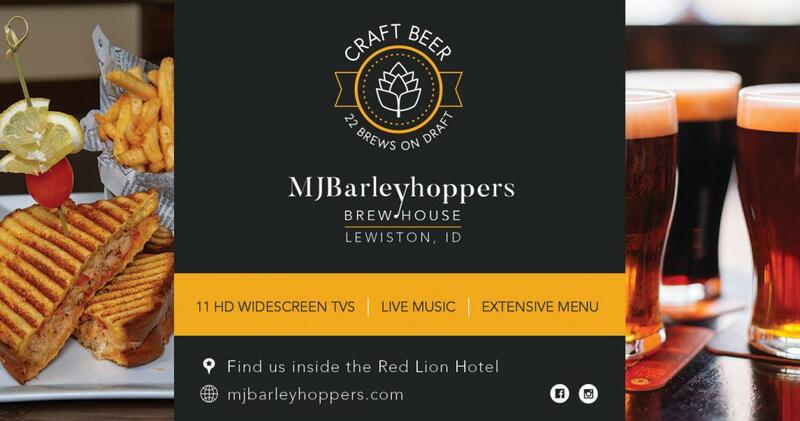 As the largest brew pub/sports bar in the Lewis-Clark Valley, MJ Barleyhoppers offers the best microbrews in town. 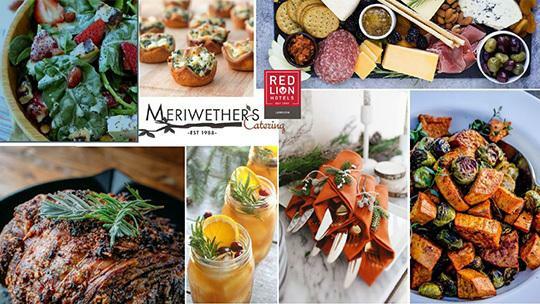 Meriwether’s Bistro is a favorite among Lewiston, ID restaurants, and it’s conveniently located on the main level of Red Lion Hotel Lewiston. Featuring fresh local flavors for breakfast, lunch, Sunday brunch, and dinner, guests can enjoy indoor dining in our newly renovated restaurant. Grab bites and sample some northwest wines in Meriwether’s lounge, or enjoy the views from our expanded patio. Rise and shine to eggs benedicts, then join us for perfectly grilled rib eye or salmon in the evening, where all of our entrees include our soup/salad bar. On Friday and Saturday evenings, Meriwether’s serves up juicy, certified Angus beef prime rib. Don't forget to complement your meal with a microbrew or wine on tap. Our servers can help find the perfect pairing for you. As the area’s largest brewhouse, MJ Barleyhoppers Brew House goes above and beyond, offering full-bodied flavors that will satisfy and surprise along with a lively atmosphere. Our brews pair especially well with our incredible pub-style menu. MJB’s offers the best local microbrews on draft along with all your bottled favorites. We also now feature eleven HD widescreen TVs and sports are always on. View our calendar for weekly events, entertainment and live music. Our expansive patio offers the perfect setting for small and large gatherings, and is a great place to enjoy our summer live music series. Have children? No worries, MJB’s is non-smoking and family friendly. All ages welcome until 10pm. Be sure to ask your server about pairing tips to select the perfect brew for your meal. Thinking of a great place to hold a birthday, bachelorette or anniversary party? M.J. Barleyhopper's is the perfect spot! Please contact supervisor, Malissa Hager at [email protected] to plan a perfect special event. We are very thankful that you are spending the holidays with us. To enhance your stay, we made a custom Holiday Menu. You can indulge in holiday classics with our themed buffets and platters such as our Candy Cane Lane Buffet, Holly Berry Buffet and Winter Wonderland Plated Dinner. We also offer savory desert and cocktail options to celebrate the holidays. At the Red Lion Hotel Lewiston, we are proud to uphold our Sports Certified status through Red Lion Hotels Corporation. This means that our hotel has undergone industry specific training and has demonstrated the ability to successfully house sports groups, time and time again. Allow us to focus on creating convenience and value for your team, so you can concentrate on the game. Impress your colleagues, family, or friends when you host business or social events in our Lewiston meeting spaces. An ideal setting for business conferences, board meetings, weddings and cocktail parties, Red Lion Hotel Lewiston is situated in a desirable location and offers unmatched access to some of the best area attractions, restaurants and businesses. Offering over 24,118 square feet of flexible meeting spaces near Lewiston, Red Lion Hotel Lewiston is proud to offer a variety of options for your next event. Our event staff work diligently to make sure no detail is left behind from A/V support to full-service catering. Business executives and other guests alike find Red Lion Hotel Lewiston to be a truly unique choice among Lewiston event venues due to our unmatched dedication towards delivering unforgettable business brunches, company-wide retreats and romantic weddings. Please contact our Director of Sales & Catering (208) 748-1042 or [email protected] for additional information. Review our meeting packages as well. Searching for Lewiston, ID catering? Red Lion Hotel Lewiston is home to the most talented Lewiston caterers who work diligently to deliver carefully-crafted menus for your next special event. From intimate gatherings to larger banquet affairs, our catering in Lewiston, ID offers a distinctive menus and well-crafted entrees. From prime rib to cod to other delicious treats, our catering options will leave a wonderful impression on your guests. Trust our experienced catering team to design a menu that exceeds your expectations without extending your budget. "The food was very good and the staff first-class." Red Lion Hotel Lewiston recognizes the hard work that local, state, and federal government employees provide. As our way of saying Thank You - we are offering the per diem government traveler rate. Red Lion Hotel Lewiston is an ideal location to rest and recharge - centrally located to downtown Lewiston and the Clearwater River. For the best government discounts on Lewiston hotels, look no further. If your agency is traveling as a group contact our Sales Team at 208-799-1000 or Request a Proposal today. Terms: Guest must have a valid government ID at check in. Active duty/retired military personnel, federal, state & local government, cost contractors, the staff of public schools, colleges and universities and employees of foreign governments are eligible for the per diem rates. Boasting 13,000 square feet of stylish meeting space, Red Lion Hotel Lewiston is an inspired choice for corporate events in Idaho. 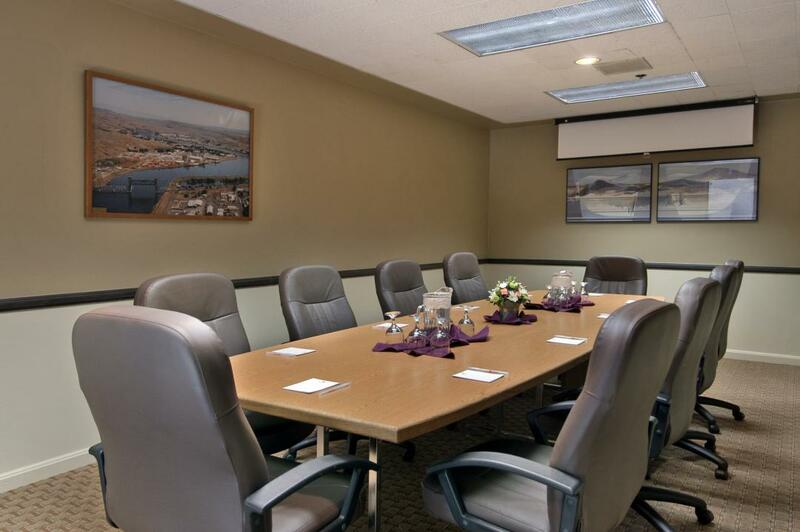 Our Lewiston, Idaho meeting space includes 12 magnificently designed conference room settings with features including complimentary Wi-Fi and a range of audiovisual capabilities. The largest of our meeting rooms, the Warrior Ballroom, can accommodate up to 300 guests in a reception format. Throughout our Lewiston, Idaho events, dedicated Red Lion event planning and catering specialists are available to ensure that no detail is overlooked. For memorable Lewiston, ID events, meetings, conferences or banquets, trust Red Lion to design a signature gathering. An ideal choice for Lewiston sports group accommodations, Red Lion Hotel Lewiston offers a convenient location near a wide range of sporting venues. From Washington State Cougars and University of Idaho Vandals home games to rodeos, bike races, world-class fishing and several championship-level golf courses, there's something for every sports fanatic. Planning Lewiston sports group travel is a breeze when you take advantage of our group accommodations in Lewiston which pair the highest level of service available with well-adorned guest rooms and premium amenities. Celebrate your love in one of the most picturesque settings available, Red Lion Hotel Lewiston. We pride ourselves on offering a premium choice among Lewiston wedding venues. 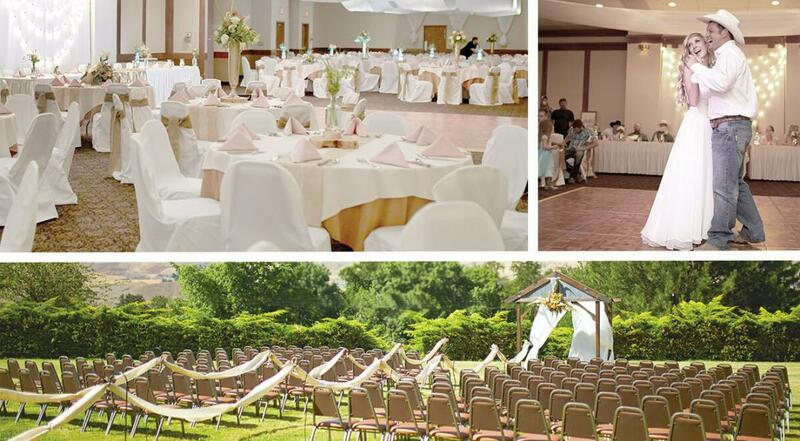 For elegant and romantic ceremonies and fun-filled receptions, coordinate with our professional event staff that specializes in delivering the most memorable Lewiston weddings. A magical location for an Idaho wedding and all events leading up to the big day, Red Lion Hotel Lewiston is a desirable choice among wedding parties, families, and couples for engagement parties, rehearsal dinners, bachelorette parties and wedding receptions. From intimate gatherings to larger banquet affairs Red Lion Hotel Lewiston is a top-choice among wedding venues in Lewiston for unforgettable weddings. Don't delay creating memories that last a lifetime. Find your love and love your venue at Red Lion Hotel Lewiston. "We recently had a wedding for my daughter and the Red Lion hosted the reception and also provided about 50 rooms for the families and friends of the bride and groom. The service for our friends and families was amazing. The wedding reception went off without a hitch. The room was decorated to perfection and the meal brought many positive compliments." To contact us about weddings or other events, submit an RFP today. One-of-a-kind boutiques, historical sites, and breathtaking natural attractions meet near Red Lion Lewiston. As a cultural hub, Lewiston is home to a variety of events, including musical performances, art gallery showings, and more. Whether you're traveling for business or pleasure, with a significant other, or the entire family, get out and explore nearby dining, nightlife, and find out for yourself why so many of our guests become repeat visitors. 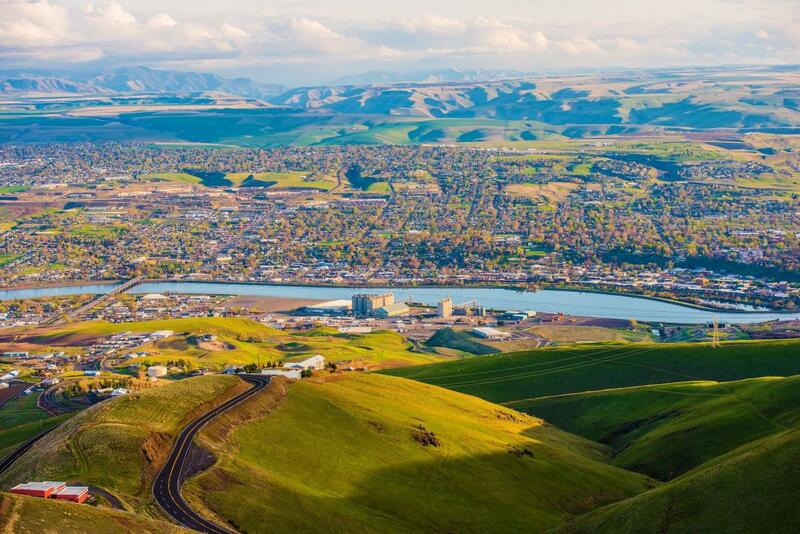 Once the capital of Idaho, Lewiston is best known today for its "Banana Belt" climate with warm, sunny days, year-round golf, and limitless opportunities for water-skiing, jet boating, sailing, whitewater rafting, hunting, fishing, swimming and hiking. Start planning your stay at our Lewiston hotel, and decide which attractions you'll explore first. Prospective students and their families alike turn to Red Lion Hotel Lewiston as a top-choice among hotels near Lewis and Clark College for comfortable accommodations. Just moments from the campus, Red Lion is perfectly positioned for those visiting the campus or attending orientation. Serving as a gateway to life's next big adventure Red Lion Hotel Lewiston offers spacious guest rooms and suites, plush amenities and a location that allows you to explore the surrounding area in comfort. A standout among Lewis and Clark College hotels, Red Lion Hotel Lewiston provides an unprecedented level of service amid pristine outdoor surroundings. Prospective students and their families enjoy our mild year-round climate, convenient amenities, and friendly staff. 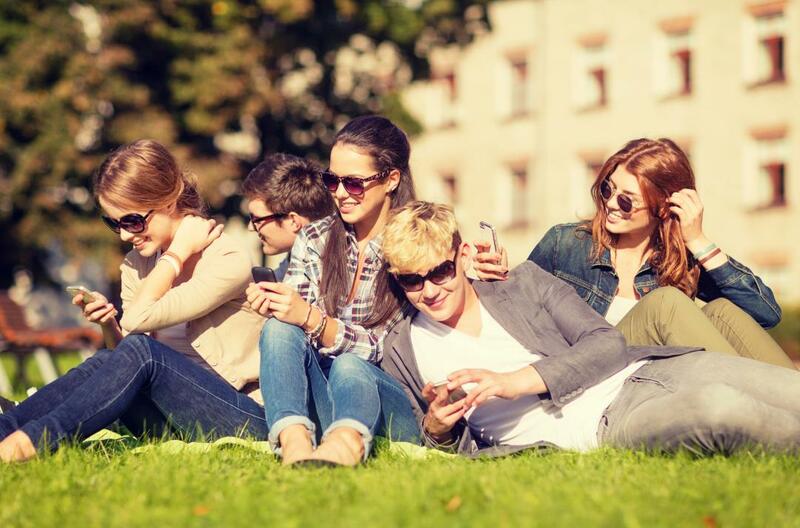 Let your choice of accommodations be the most hassle-free part of visiting colleges. When you're choosing among hotels in Lewiston, ID, turn to Red Lion for lodging at the top of its class. "I have a son that attends LC-State in Lewiston and we are from Snohomish. We have now stayed at the Red Lion 3 times in the last year and will continue whenever we are in Lewiston. The hotel is clean and well taken care of for an older hotel staff was great." Hells Canyon is North America’s deepest river gorge, and Lewiston is your gateway to this striking natural wonder. Explore the river gorge by white-water rafting, swimming, hunting, hiking, or camping. Miles of levee pathways follow the rivers for walking, jogging, and biking. Snake River Adventures offers thrilling jet boat tours as well as quality fishing. Hells Canyon Tours has a multitude of tours you can embark on to experience the canyon's endless Western wonder. Lewiston, Idaho is home to the nation's largest Steelhead fishing derby. For those who don't know, a fishing derby, or fishing tournament, is an organized competition to see who can catch the largest fish. In 2014, the winning Steelhead weighed 17.82 lbs. with the 2nd place finisher listing 17.81 lbs. This year's event takes place November 21st - 28th. According to tribal legend, Nimiipuu, “The People,” were created in north central Idaho at the dawn of time. The Nez Perce Native Americans have inhabited the Clearwater and Snake River valleys for over 11,000 years. The Nez Perce National Historical Park, 11 miles southeast of Lewiston on state Highway 95, is a complete informational center and museum featuring historical displays and interpretive programs about the rich history and customs of the Nez Perce Tribe. Pow wows and other community events occur throughout the year. The Dogwood Festival is held annually celebrating arts, culture and community in the Lewis-Clark Valley. The festival is coordinated by a community of volunteers and brings vibrant arts to the area. Enjoy the festival's many activities throughout the month of April, like Art Under The Elms and The Seaport River Run. The Color The Valley Run lets you get colorful, as powdered color is thrown at joggers, who end up colored like a rainbow by the marathon's end. Hells Canyon Sport Fishing is a local Lewiston outfitter that specializes in guided Spring Chinook fishing trips on the Clearwater River. All their Spring Chinook fishing trips are guided from their comfortable welded aluminum jet boats, which are by far the nicest fleet of guide boats on the river. 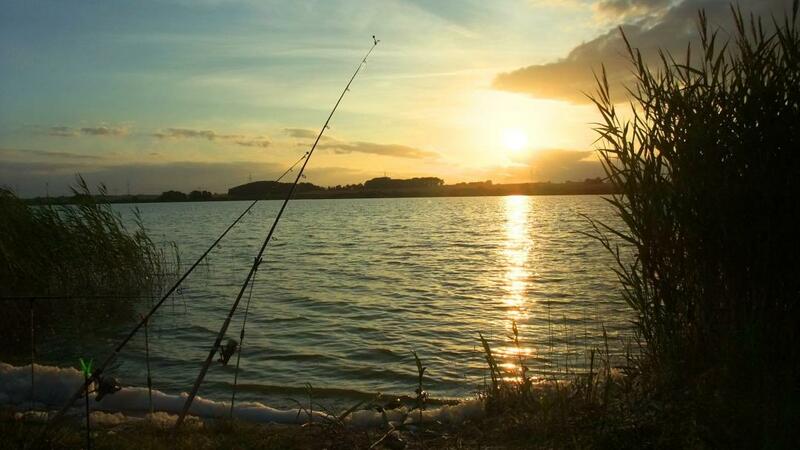 Take advantage of the expertise of their five professional full time guides, who have dedicated their lives to the love of fishing. Take the paths through the mountains and explore like Lewis and Clark did centuries ago. Plenty of trails weave through the mountains near Lewiston, and you'll feel like a true adventurer when you soak in the clean, natural air around you. The trails are also great for avid bikers, presenting challenging inclines and fast slopes. These ancient hills are yours to discover, just like the pioneers did long ago. Lewiston is in the “Banana Belt” of the Pacific Northwest, where the mild winter climate allows for year-round golfing, even though it's only a short drive away from snow-capped mountains. While most of the Inland Northwest is covered in snow and frost, golf courses in the valley are open for business. Play golf every month of the year (some locals even play every day) on the four 18-hole courses in the valley. You can also benefit from our Idaho golf package that lets you stay, play, and save at Lewiston Golf and Country Club. For 8 days in late November, the fishing boats fill up the Clearwater and Snake Rivers in hopes of landing a prize-winning Steelhead. The Derby begins at 12:00AM on Saturday, November 19th and runs through Saturday, November 26th. First Place prize money is $1500. Opening ceremony kicks off the week on Friday, November 18th from 6-9PM at the Karl Tyler’s Lewiston Chevrolet Showroom in North Lewiston. This year’s ceremony will have music, entertainment, raffles, giveaways, dinner and drinks included for registered anglers, and awesome goody bags for the first 200 registered anglers to walk through the door. The festivities also include the Clearwater River Casino - Catch of a Lifetime Contest. Each registered angler has 8 chances, one per day of the derby, to win $22,500, to be used at any of the derby sponsors businesses. Known internationally as one of the best schools in the US and one of the top schools in Washington State, Washington State University has blazed academic and cultural paths since its founding in 1890. As Washington's original land-grant university, and located in the midst of the natural abundance of the state, it's no surprise that the school has capitalized on its legacy - and Pacific Northwest resources - to become a world leader. Our hotel near WSU sets you near campus with comfortable accommodations and ample amenities. Located near Pullman, Red Lion Lewiston is within perfect range of a day trip or overnight stay to WSU. Whether you're a prospective student, parents, faculty, or even just traveling in for a sporting event, our Lewiston, ID hotel is in the right place for experiencing Washington State University.